The Frictionless Workplace is a kind of technological utopia that might never exist in real life. You could think about it as a workplace with none of the usual annoyances or interruptions; where people can focus entirely on the task in hand with maximal productivity, and then head off home to enjoy their healthy work-life balance. Voice is the latest technological development to promise a smoother experience in the workplace. Practically, this means a fresh crop of digital assistants and voice-controlled apps designed to remove the current irritations and make life just a tiny bit smoother. The most obvious uses for voice are the same in a work environment as in the home: to control the facilities for the comfort of everyone there. Lighting, heating and the like could all be controlled with a phrase, and if someone is sneakily trying to fiddle with the office thermostat then you would immediately know who is to blame. 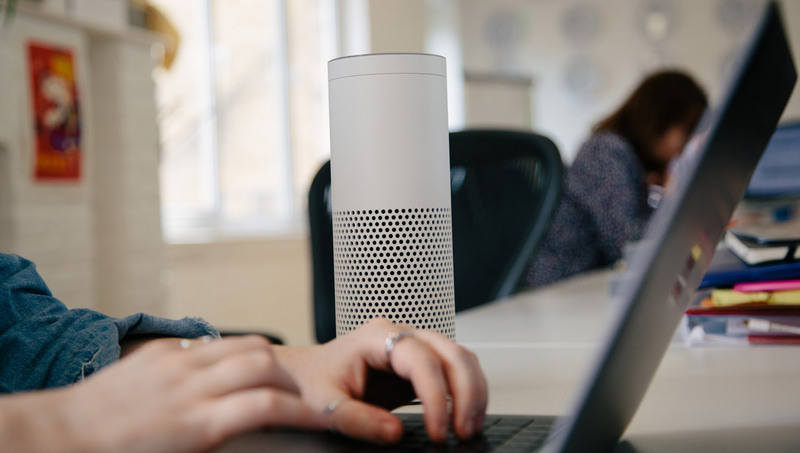 A voice assistant could also integrate the office’s calendars to prevent the scheduling overlaps that are almost inevitable in most modern workplaces. Similarly, voice technology could announce summaries of data for users based on their role. Of course, voice profiling technology would need to advance sufficiently first to ensure the right person has access to the right information. Using IFTTT integration allows users to track the time they are investing in any given goal, and to easily produce timesheets for different projects simply by announcing what they are working on. Being able to make telephone calls without fumbling through multiple handsets is also likely to make life much less irritating, given that we are now at the stage where many people have a personal smartphone, a work smartphone and an office landline to navigate. Cutting down on the number of phones required will have some added benefits, helping to cut down on screen overload and the inevitable confusion that comes with switching between three or more separate devices to complete a given task. 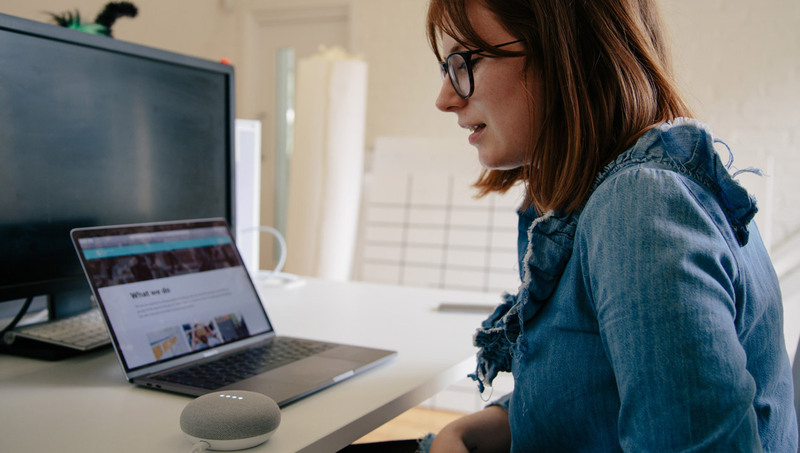 The database and web searching functions of digital assistants mean that they could recount useful information to a user rather than them having to bring their current project to a grinding halt so they can double check a detail. Of course, many of these solutions are only helpful in a single user environment like a personal office at the moment. In open plan spaces there is the risk that voice assistants would be constantly triggered by commands spoken by anyone around them. Better voice profiling is likely to resolve the input problem, but the output of dozens of voice assistants chattering away at once would become disruptive fairly quickly. Similarly, a digital assistant being used for calls with multiple users would probably suffer from many of the same issues that plague conferencing systems. Having a digital assistant in the office could also help to create a much clearer and healthier work-life balance. Because the voice technology remains in the office, there is no way for users to take their work home with them. At least not in the same way that work stored on a smartphone or tablet haunts people currently. The devices that users have for leisure and the ones used for work are clearly divided, allowing employees to rest and relax when they need to. This may be only a temporary reprieve, though. It’s easy to envision a future where work profiles become accessible remotely to allow for flexible working. 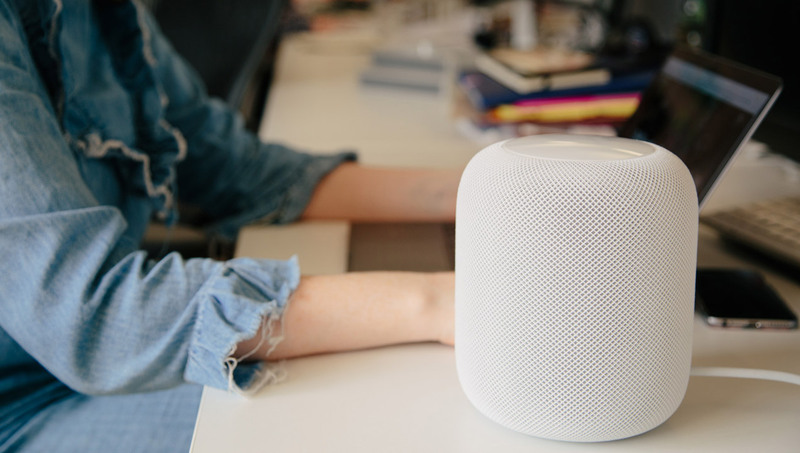 Having different systems might lead to some interesting code-switching between dealing with voice at home and in the office as different digital assistants seem to need different syntax and language to fulfil the same functions. Just as people don’t speak to other people in the office in the same way that they speak to family and friends at home, they will not speak to the voice technology in the same way. Another great way to separate the mental spaces of home and work. We can’t promise that the voice revolution that has everyone so excited in the tech world is going to give us a frictionless workplace any time soon. Improvements will always be incremental, with each new technology that comes onto the market building on top of the existing scaffolding. What we can say, though, is that the groundwork being laid now will almost certainly underlie the technology of next generation workplaces as designers continue to innovate and optimize our tools and workflow in an endless pursuit of perfection.